It’s that time of the year for things that are frightening, hideous, and just plain dark. Halloween has many associations in pop culture, and one of the biggest is scary movies and costumes, which often includes monsters. Comic books also have a long history of monsters, too, both before the Silver Age and after. It can be hard to exactly define what type of characters is a monster. For instance, in my opinion, the Thing, Beast and Bizarro are not monsters (Beast comes close in his blue form), though I can see how others would disagree. So here are my picks for top five comic book monsters. 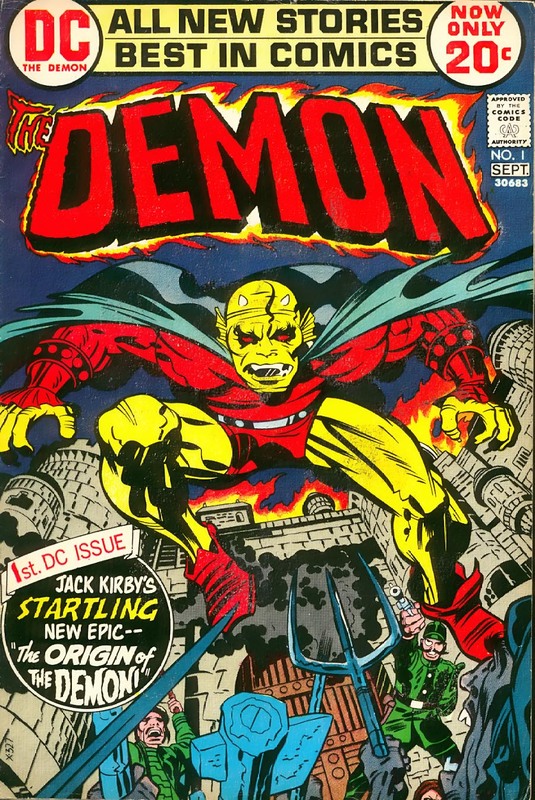 Starting off the countdown is The Demon, also known as Etrigan the Demon, a DC Comics character created by the legendary Jack Kirby in 1972. Kirby’s design is fantastic, taking a number of elements from Gothic depictions of demons going as back as far as the Middle Ages and updating the look with a crimson costume and cape. Etrigan, known in human form as Jason Blood (quite a Halloween name in itself), has often been a complex character, helping heroes but occasionally going against them. Though he’s probably been more underutilized than many characters here, he remains a cult favorite. Another character with roots in folklore, Solomon Grundy is based on the 19th century children’s rhyme (“Solomon Grundy, born on a Monday…”). The DC Comics version actually dates back to the Golden Age of comics, when it was created by Alfred Bester and Paul Reinman in All-American Comics #61 in 1944. Grundy also has a great design. With his gigantic size and white skin he fits very much into the classic Frankenstein monster look. Although he first tormented the Alan Scott version of Green Lantern, he has gone on to be a frequent foe of Batman, Flash and the Justice League, as well as a star in the animated Challenge of the Super Friends cartoon, leading to an all-time great meme. Swamp Thing is a fascinating character for many reasons. He was one of DC’s biggest “horror” characters of the 1970s, created by Len Wein and Berni Wrightson in 1971. The character look by Wrightson is great, combining some classic monster traits (sort of Frankenstein meets Creature from the Black Lagoon) with a striking facial composition. The identity and origin of Swamp Thing has changed throughout the years, and Alan Moore first came to prominence in the U.S. with his landmark writing on the "Saga of the Swamp Thing" run in the early 1980s. DC revived Swamp Thing as a part of the New 52, and a new Swamp Thing series from original writer Wein and art from Kelley Jones with debut in January 2016. Although the current “Agent Venom” version of the character, who is a hero controlled by Flash Thompson, is not so monstrous, the classic version of Venom has many of the attributes of great monsters: incredible size and strength, a fearsome look and a vicious and wild nature. 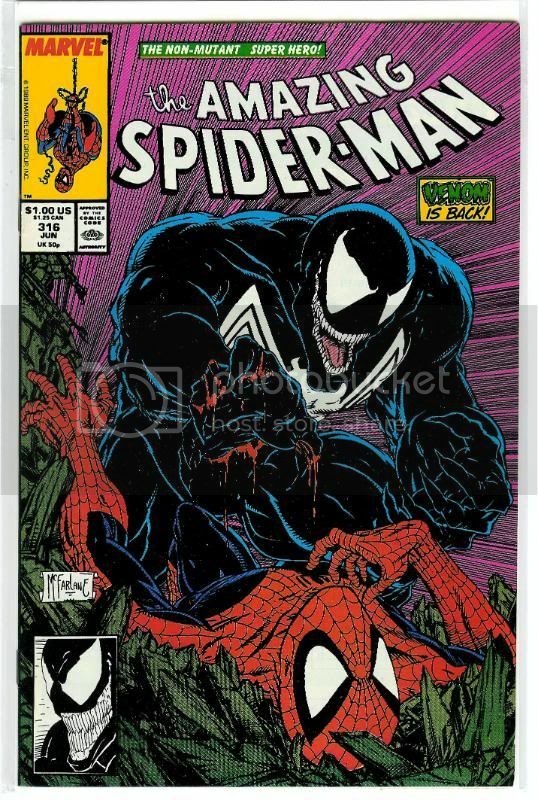 Whether it was Eddie Brock or Mac Gargan controlling the alien symbiote, Venom was one of the best monsters created by Marvel in the Modern Age, with Todd McFarlane taking the Spider-Man black suit (designed by Mike Zeck) and imbuing it with beastly qualities. The Venom offshoot Carnage is also a fun modern comic monster, but not as good as the original. Of course, the best monster of them all is the Hulk, the raging alter ego of Bruce Banner (though Amadeus Cho will take the Hulk mantle in the upcoming Totally Awesome Hulk series). So what makes the Hulk a monster while characters like Thing and Beast are not? Well, for most of his history, Hulk has been a barely controllable force, often destroying things inadvertently, and yet gaining a reader’s sympathy because he just wants to be left alone, reminiscent of Frankenstein in many ways. Stan Lee also had a Dr. Jeckyll and Mr. Hyde theme in mind when creating the Hulk. 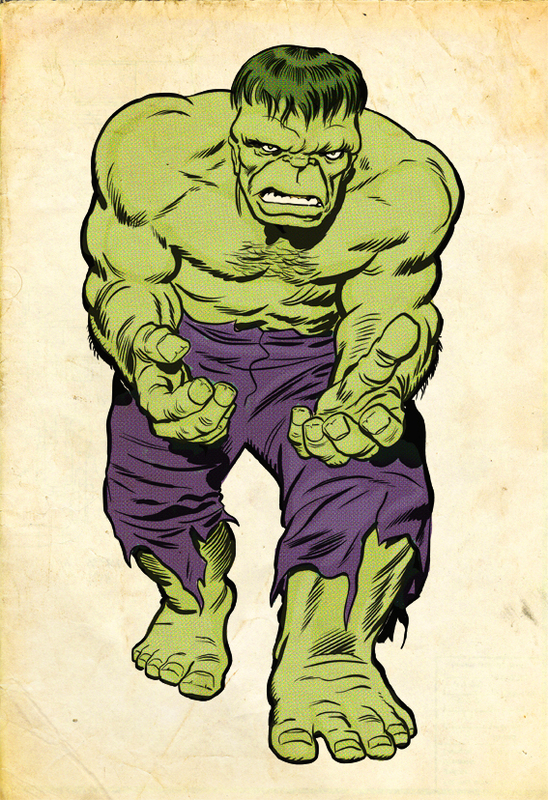 Jack Kirby’s original design of Hulk, whether grey or green, is also a classic – simple but instantly recognizable. There are many other great monsters in comic book history, and your definition of monster may be different from mine. So which characters do you think are the best comic book monsters?